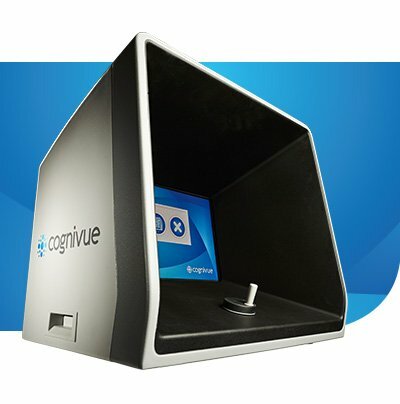 Cognivue® is the world's first FDA-cleared computerized test of cognitive function. It is based on years of research focusing on early detection of late-life cognitive decline (LLCD) and dementia. 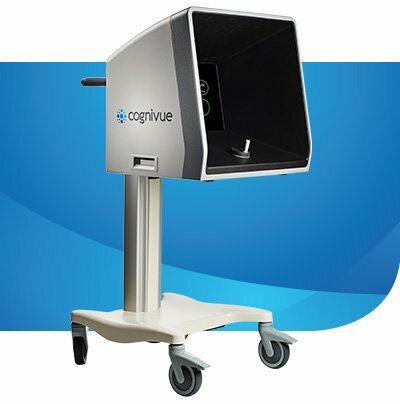 Upon completion of a 10 minute test, Cognivue immediately generates a one-page, easy-to-interpret report with a single clinical score. Using the patient’s score, physicians are able to create a customized plan with patients and their families for a continued course of action if needed. The clinical score can also be used as a baseline for future comparison. This product tour covers the benefits of this revolutionary new technology. To learn more about Cognivue, and how it works, explore the topics in the product tour. Provides one degree of freedom, therefore minimizing all variance in patient response performance. Specific dimensions for every patient and every test with protection from distraction and ambient light interference. Mechanically fixed, therefore providing the same grip on CogniWheel, view of screen and overall test interaction.